This article is a 'grab bag' of events and developments interpreted in a way that suggests an alliance is working to bring about freedom for humanity while at the same time stopping the nefarious group that as worked tirelessly to promulgate slavery. To be clear, this is not the only interpretation of events. We cannot speak with absolute certainty that Neil Keenan is the signatory of the Global Collateral Accounts, or that the BRICS alliance has the necessary logistical infrastructure to topple the Federal Reserve System, or that Putin is working for the freedom of the planet, or that Judge Anna's lawful call to arrest Congress and the President will be honored. All these things and more are possibilities that serve as tools to empower us as individuals to be the change in our own right. Remaining open minded is an essential skill to develop in these shifting times, but this must be balanced by a personal approach to research, contemplation and discernment. One thing is certain, however if we continue to remain a disorganized and fundamentally divided people, the Cabal will most likely win the day. As such, let us not bicker about things we equally are uncertain of, and instead, work together to discover the truth and align ourselves to it to further the reunification of humanity. In my view, the Cabal fear this more than anything else. They fear the day when all the people of the planet set aside their petty differences and cooperate towards a common goal of truth, freedom and prosperity. Quite a bold title to an article, huh? 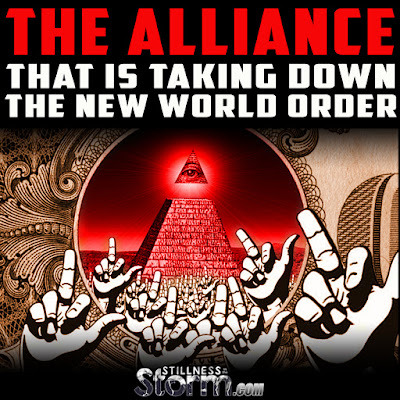 Maybe you clicked on this because you were interested and hopeful that there is indeed a positive alliance systematically taking down the banking cabal, or NWO, as some like to call them. Maybe you already know of this alliance or maybe you do not. One thing is certain though, whether you believe it or not, this alliance is very real… and is winning. After publishing a recent article titled, “The Connection Between 9/11, JFK and the Global Collateral Accounts,” I had many requests come in to investigate things even deeper and write about what I find. The most fascinating part in that article to many people was the notion of the global collateral accounts soon to be opened by Neil Keenan, which are to be used for several humanitarian projects to truly help transform our world for the better. Neil will also be refiling a previous lawsuit (implicates the U.N. and several other prominent figures) that shows how these global collateral accounts have been illegally used by The Federal Reserve, the E.U. and many well known and wealthy families throughout our world. This is the same Neil Keenan who filed a Cease and Desist order in February 2014 to Queen Elizabeth II, Evelyn and Jacob Rothschild, David Rockefeller, Hilary Clinton, George Herbert Walker Bush, George Soros, The House and Senate of the UNITED STATES CORPORATION, among others. Back in August of 2011, a group of finance representatives from 57 different nations came together off the coast of Monaco to discuss setting up a new global financial system as a way to bring down the NWO. Countries represented included Russia, China, Switzerland, The Netherlands, Brazil, Venezuela and many others, including various large power players; such as the positive faction (non-NWO) from The Pentagon and CIA. Interestingly, Neil Keenan was also the man who set this meeting up, which some have called the Monaco Accords. 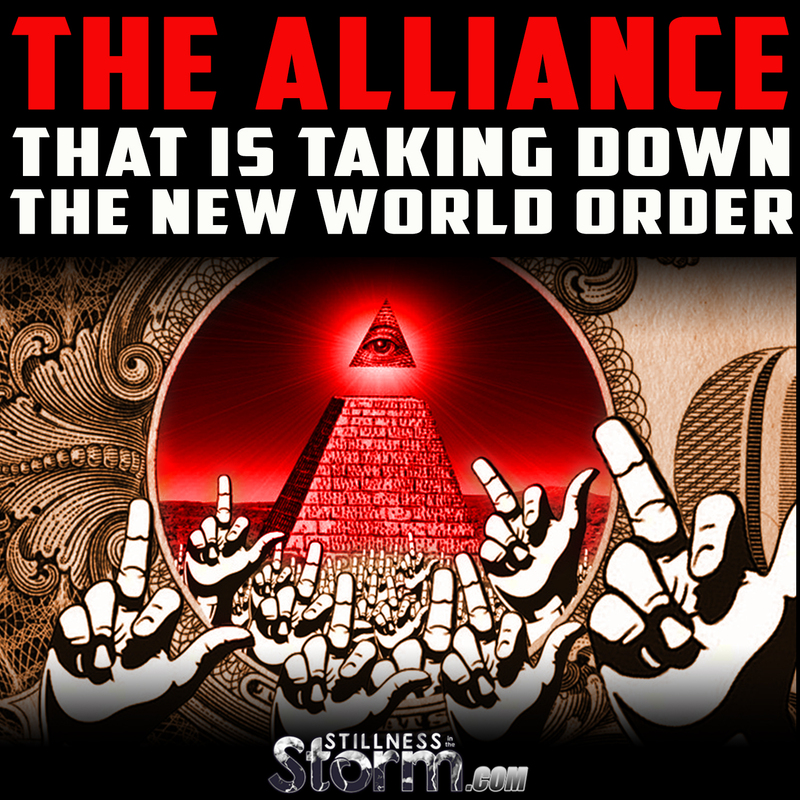 No nations from the West were invited as almost all of them were taking orders from the NWO. Several reports have shown that when Jay Rockefeller tried to get on the boat, he was stopped by Neil Keenan himself. Rockefeller asked Keenan, “Do you know who I am?” Neil replied, “Yes, you’re exactly the person we don’t want on this boat.” Needless to say, Rockefeller was not let on the boat and the meeting commenced with no NWO infiltration. In fact, this meeting was so important that Blackhawk helicopters soon came up on the yacht (where the meeting was being held) and attempted to use electromagnetic pulse technology to spoil the party. Shortly after that, French fighter jets flew over the Blackhawks and gave them a warning to leave. These French fighter jets were helping to protect the alliance and this game-changing meeting. Seeing as the East has most of the world’s gold and the documentation to legally bring down the corrupt institutions that have been illegally using the global collateral accounts, this alliance decided to begin creating the new gold and asset-backed financial system. With this meeting heralded as the “shot heard ’round the world” for those “in the know”, several other nations joined and have signed the Acknowledgment of Memorandum of the Agreement documentation, which brought this alliance to 182 countries. Neil Keenan and team then decided to allow the BRICS nations continue on with the plan to create an entirely new and separate financial system from the Western cabal-controlled financial system. Neil knew that this idea of a new financial system would spread and be implemented even quicker with the help of Russia and China. This then gave Neil Keenan and his team much more time to work towards opening the global collateral accounts for humanitarian purposes; which the cover-up of these accounts is the banking cabal’s deepest, most prized financial secret. The BRICS stands for the nations founding this alliance: Brazil, Russia, India, China, South Africa. Since 2011, we have seen several moves by the BRICS that have been obvious as well as not so obvious. Since this section could well include hundreds of events that have taken place in the past several months, I’ll highlight four of the biggest ones to date. 1. In late June 2015, China hosted 56 nations as a total of 57 founded the Asian Infrastructure Investment Bank (AIIB). Absent from the list was the U.S. and Japan, two of the last countries that are cabal-controlled. 2. Then on July 7th, 2015, the BRICS Bank officially opened. 3. On October 9th, 2015 China launched the China International Payment System (CIPS). This is a huge blow for the Cabal-created SWIFT payment system and is the next big step in yuan internationalization and the end of the U.S. Dollar dominance. 4. On November 30th, 2015, the Chinese Renminbi was officially included in the International Monetary Fund’s basket of world reserve currencies. The cabal really had no choice. If they didn’t include it, the alliance could simply use their own banks (BRICS Bank, AIIB, etc.) to bring about their shift into the asset-backed financial system. With the inclusion into the IMF, the alliance has essentially maneuvered their way into the cabal’s system and now will exert even more pressure on the cabal to either quietly forfeit control of the global financial system or face legal actions for maintaining a fraudulent financial system. All in all, the positive alliance is continuing to gain momentum in ending the fraudulent banking cabal’s control of our world. 1. In August of 2013, a detailed report came out that listed insider information that certain members within the hacker group Anonymous, are working with top level U.S. Military Command/Pentagon Command to systematically take down the banking/political cabal. 2. On July 7th, 2015, Anonymous mysteriously tweeted “Wonder if tomorrow is going to be bad for Wall Street…we can only hope.” The next day, the NYSE and the Wall Street Journal were taken down for several hours. According to this journalist, the BRICS/Pentagon/Anonymous alliance took it down “as a dry run” with more to come. 3. Then in early November 2015, Anonymous followed through with its threat to release the names of up to 1,000 members of the KKK… multiple of which were U.S. Senators and mayors of major U.S. cities. Will Anonymous soon begin telling the world about the fraudulent abuse of the global collateral accounts and that these accounts are soon to be opened for the benefit of humanity? We shall see. Alongside Neil Keenan, Vladimir Putin is also acting as an instrumental leader in bringing down this cabal. He has continuously played it cool in response to the cabal trying to start a potential World War 3. He has not fallen for the bait but has instead used diplomacy and strategic tactfulness in growing the alliance, especially in the middle east, as a way to financially, politically and militarily cut off and corner the cabal. 1. On November 9th, 2015, Russia announced that it had destroyed 448 terrorist bases in just 3 days and that only 34 ISIL/IS bases remain. 2. Then on November 16th, 2015, Putin announced to the world that Russian intelligence has gathered information that 40 countries are financially supporting ISIL/IS…with some of them being G-20 members. Keep in mind too, that he announced this at the G-20 Summit itself. Can you imagine the panic that went through the financier countries that were present at the Summit? Putin continues to send a loud and clear message: He is going to help expose and end this entire cabal-created charade. 3. On November 18th, 2015, Russia announced that it has destroyed 500 oil tankers that were illegally transporting oil from Syria to Iraq. These were ISIL/IS tankers that were generating revenue for ISIL. Their main source of funding is being cut off. On November 28th, 2015, Alaska State Judge Anna von Reitz (Anna Maria Riezinger) addressed an open letter to all federal agents, including the FBI and US Marshals to arrest Congress, the President and the Secretary of the Treasury. She goes into incredible detail on the fraud that has been committed. Anyone who reads this is sure to learn at least something. Below is the text and you can open the original pdf here. If anyone takes a deeper look into the geopolitical, financial and energetic happening on our world, its clear that there is indeed a growing alliance that is taking down the fraudulent banking cabal. Neil Keenan is about to open the global collateral accounts, which is indeed what all of the financial and political happenings on this planet have been taking place over– that is, the control (and attempt to maintain secrecy) over the global collateral accounts. Neil’s last two updates have been very positive with much to report. Update 1 and update 2. He is about to do what JFK and Soekarno were close to completing: use of the global collateral accounts to completely transform the world for the better. Putin and the BRICS are cornering the cabal in different financial ways and certainly politically and militarily. We also see Anonymous (who is working with positive elements in the Pentagon) continuing their cyber attacks to expose and end the banking cabal’s illusion. Finally, we see a prominent Judge come out and call for the US Marshals and FBI to arrest members of Congress, the President and the Secretary of the Treasury. Stay tuned, the fast and exciting times still have even yet to commence as of this writing. Very good things are happening and even better things are coming for our world.